In late January I once again returned to Washington, D.C. to attend a conference, but also to use the opportunity to meet members of the U.S. expert community, as well as officials, diplomats, and Congressional staffers. Following what has become a tradition of sorts, I would like to share some of my observations from Washington with the readers of NK News. Predictably, I have to be cautious and will avoid revealing the names of people, and, sometimes, institutions, but it’s unlikely to prevent me from providing our loyal readers with a reasonably complete, and, hopefully, reliable picture of the current state of affairs in the U.S. capital. This picture is likely to be quite interesting, because the situation in Washington remains fluid and fast-changing. A side remark might be necessary here. Having visited Washington frequently and regularly for over a decade, I have often discovered a remarkably strong disconnect between Seoul and Washington when it comes to issues related to Korea. The Korean peninsula as seen from Seoul, it must be said, is remarkably different from the same peninsula observed from Washington. To a small extent, seemingly, this difference reflects the objective divergence of political goals and perspectives between the Korean and American public, decision makers, and the expert community. Presumably, and somewhat surprisingly, this disconnect reflects the significant lack of communication between capitals of two states which have been close allies for nearly 70 years. One cannot help but be perplexed by the existence of such a gap. After all, we are living in a world of instant electronic communication and long distance travel has never been as cheap as it is now. However, these unprecedented opportunities for information exchange are not fully utilized, and the gap between the two capitals persists. This time it is, seemingly, bigger than before. 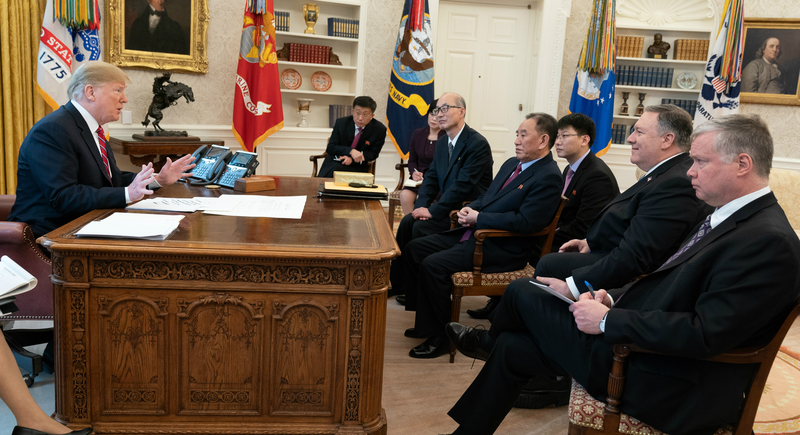 So, what does one see in Washington, D.C. in late January 2019 when it comes to the North Korean problem? 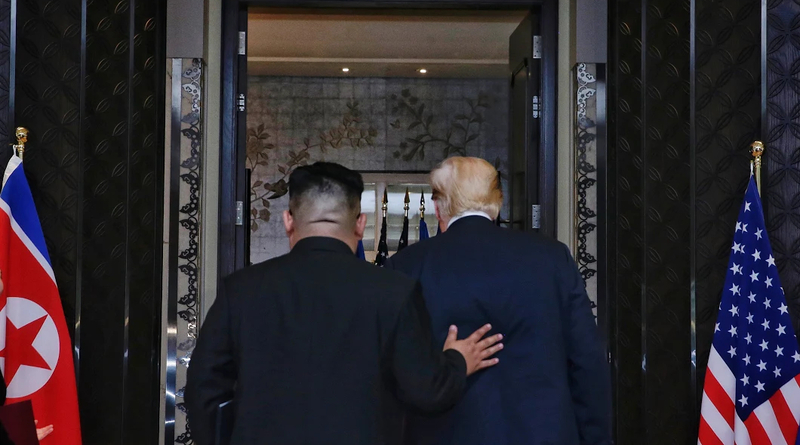 To start with, nearly all my Washington interlocutors believed that Donald Trump now badly needs a summit with his North Korean counterpart – and Kim Jong Un, it is argued, needs a summit badly, too. Few doubt that the second summit will produce something substantial, unlike the remarkably fruitless Singapore meeting in June last year. While Trump administration’s domestic performance has been quite impressive, when it comes to foreign policy, he has little success to boast about. 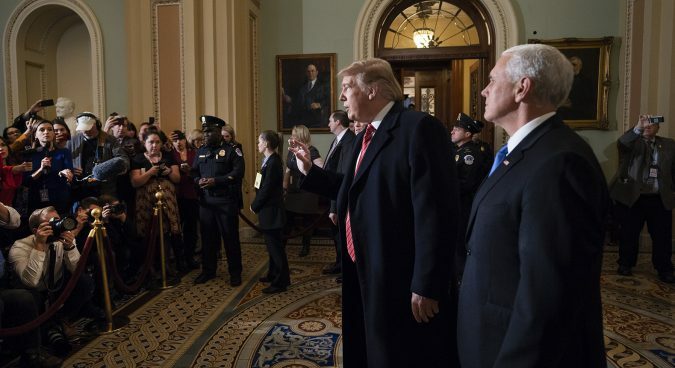 However, the next election is just a year away, and this means that Donald Trump needs some kind of success – or, to be more precise, he needs something which can be plausibly presented to the lay public as a success. North Korea fits the bill perfectly well. This alleged ‘success’ is quite important for the incumbent U.S. President, who is now apparently on the campaign trail once again. There is even, apparently, talk in town that Donald Trump also has something else in mind – he hopes to win a Nobel Prize, and “success” in dealing with North Korea could be seen as a very good justification for this award. President Donald Trump, then, badly needs a sellable success, real or just presentable. However, many of my Washington interlocutors believe that Kim Jong Un also finds himself in a somewhat similar position. 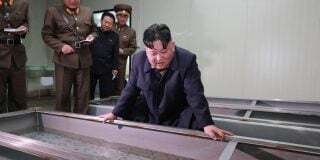 Of course, the North Korean system is far more opaque than the U.S. political machine, but it appears that Kim Jong Un needs to show something to his top bureaucrats and military commanders, just to demonstrate his ability to handle the “American question” in North Korean diplomacy. Otherwise, it is suspected in Washington, Kim’s grip on power might weaken. This perceived need for success is the reason why few, if any, of my Washington interlocutors expect that the second summit will be as fruitless as the Singapore Summit (I do not necessarily share such optimism). It’s expected that the second summit will produce some meaningful compromise, and the nature of this possible compromise has been widely discussed. This time, however, the White House is shrouded in a hitherto unseen level of secrecy. 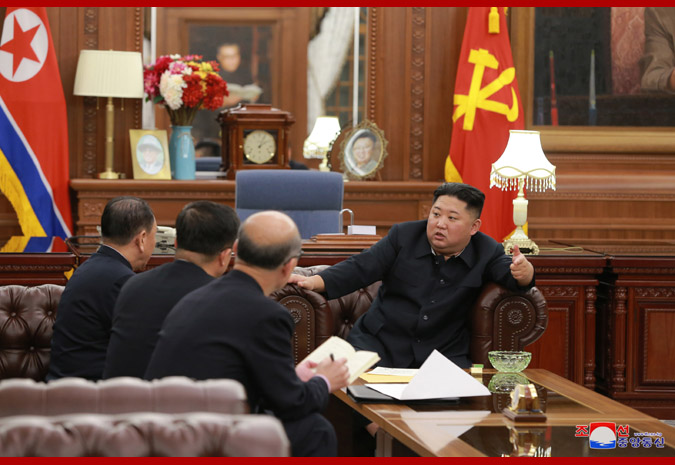 Negotiations with North Korea have always been conducted in a cautious and clandestine manner, but in recent months, this tendency has become remarkably pronounced. It’s widely believed that only a handful of top officials – essentially, Donald Trump himself, Secretary Pompeo, and perhaps Advisor Bolton – are in charge of the negotiations, while country experts in the State Department and elsewhere are kept in the dark about what’s going on. 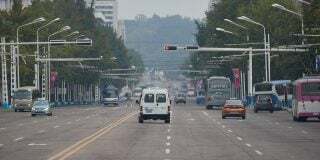 In many cases, diplomats don’t even play a significant role in regular diplomatic exchanges, because in most cases, contacts in the Seoul-Pyongyang-Washington triangle over the last few months have been largely conducted, not through the regular diplomatic channels, but through the clandestine channels of the intelligence services. The top leaders are talking between themselves, using spies as their messengers, and sometimes as their representatives, while keeping diplomats essentially idle. There are a few possible reasons behind this unusual behavior. 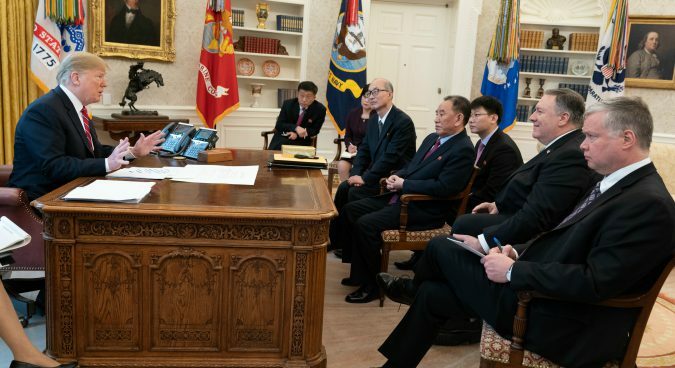 One of the possible explanations is that the North Korean negotiators believe that they can influence Donald Trump with relative ease and, exploiting his famous inattention to fine script and detail, will manage to extract from him a much better deal than the one which would be possible had State Department experts been fully involved in the negotiations. On the other hand, it is also argued that Donald Trump knows perfectly well that he is deeply unpopular among the Washington political class, and he expects nothing but sabotage and leaks from his bureaucracy. He does not mind them being isolated. Assuming that the optimists are correct, and some deal is indeed likely to emerge from the second summit, what can be swapped forward? It is expected that the North Korean side will make some significant concessions related to the Yongbyon research facilities. They might do again what they famously did in 2007, when they arranged a picturesque destruction of a rather useless but impressive-looking cooling tower. Some spectacular acts of demolition, which might or might not have actual value, are indeed expected to happen. It is also expected that Donald Trump will make a deal on the ICBM program as well. Some in Washington worry about this possibility: they assume (correctly, I would say) that such a deal, while removing the potential threat to the United States, will leave South Korea and Japan exposed to North Korean nuclear weapons and delivery systems. However, Donald Trump’s opponents never tire of saying that he is not known for taking the interests of U.S. allies seriously, and is seen as a man who tends to perceive allies as shameless free riders. It’s often argued that such a deal, concluded behind Seoul’s and Tokyo’s backs, is perfectly possible. 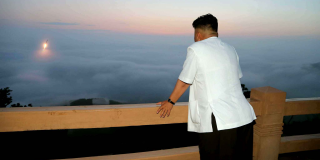 A trickier issue is what the United States is going to give Pyongyang in exchange. There is little doubt that the North Koreans would like, above all, to see a significant reduction of international sanctions. 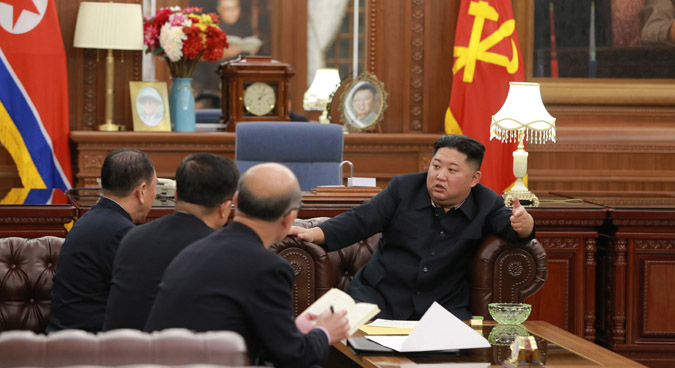 While sanctions have failed to provoke an economic crisis in North Korea, they have certainly slowed down, or perhaps, brought to a complete halt, economic growth. North Korea, then, needs sanctions to be lifted. Perhaps they don’t expect a full removal of sanctions, but it is hoped that some exemptions will be granted to South Koreans companies and government agencies, who are now eager to restart all kinds of economic interaction with the North. However, from my observations in Washington it is not quite clear to what extent the U.S. side is really willing to consider sanctions relief. From what is known, it appears that the U.S. administration is determined not to lift even the newly introduced sectoral sanctions unless North Korea makes some significant concessions related to denuclearization – and this is, of course, not going to happen: denuclearization remains an impossible dream, and will remain so. On the other hand, one cannot help but be surprised by the frequency one hears talk about a possible withdrawal, partial or even complete, of U.S. forces from the Korean peninsula as a result of the upcoming secondary summit and compromise. Donald Trump has never made secret his desire to dramatically reduce the U.S.’s overseas commitments, and he has even singled out Japan, and especially South Korea, as countries which should take care of their own security without direct involvement of the U.S.
A surprisingly large number of observers believe that during the second summit, or soon afterwards, Donald Trump will announce the withdrawal of U.S. forces. According to the current laws, the U.S. President can reduce the number of forces to the 22,000 level, while further withdrawal would require Congressional approval. However, it’s expected that such approval will not be particularly difficult to get, since the U.S. public has had enough of interventionist foreign policy, and would indeed like to see the U.S. soldiers coming back home. The major center of talks about possible withdrawal is Capitol Hill, where pretty much all the staffers and representatives I met with saw a withdrawal announcement as a high probability scenario. 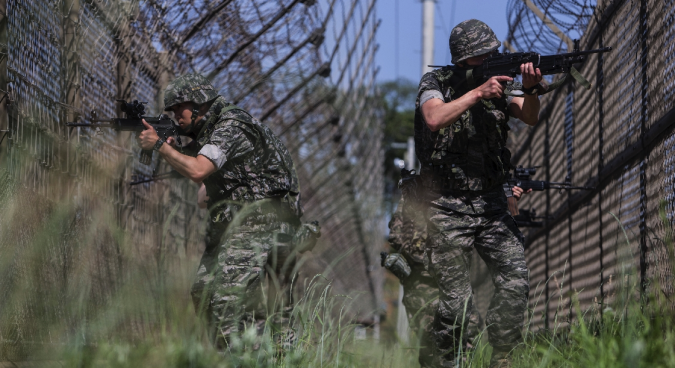 It was somewhat perplexing to see how frequently this issue is discussed in Washington, while the South Korean media still remains generally silent on the problem. Things changed, admittedly, towards the end of January, but the South Korean media, especially the so-called ‘progressive’ media, tend to interpret these rumors as just another Donald Trump bluff, a way to squeeze from the South Koreans a dramatic increase of their share in the costs of U.S. troop maintenance. In Washington I got a very different picture of this situation. Talks of troop reduction or withdrawal are not necessarily another of Donald Trump’s bluffs, it is believed. More likely, there are indeed some reasons to expect that their withdrawal, complete or partial, will follow the supposed success of the second summit. For Donald Trump it will be an impressive achievement, something to boast about in tweets and on the campaign trail. It appears, then, that the second summit might become an important turning point in the security architecture of East Asia – and one cannot say that they expect the changes to be for the better. On the other hand, the present author still remains somewhat skeptical about what has been described above. While some meaningful compromise might indeed be achieved at the coming summit, it’s still possible that it will end as the Singapore Summit ended: with broad smiles, pompous declarations, and sweet talk. At any rate, we will soon see how these things work out. Subscribe to read the remaining 1954 words of this article.